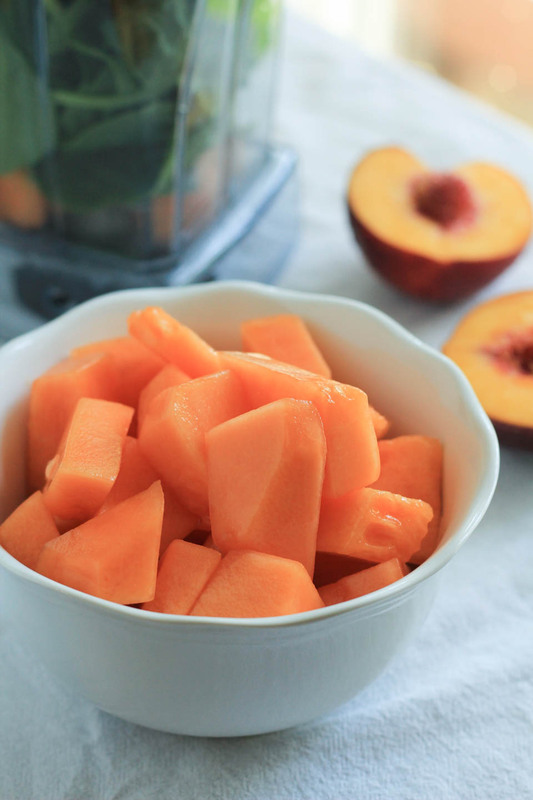 Cantaloupes are popping up at our local grocery stores in huge numbers and I am all over it! 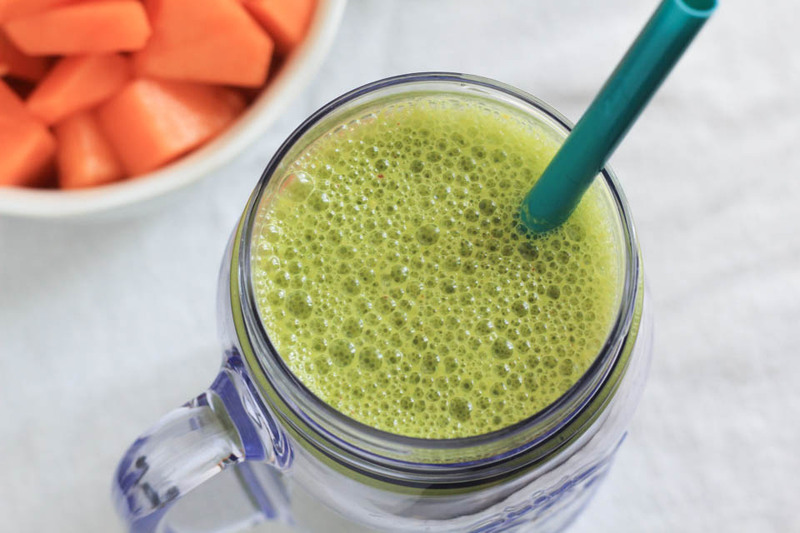 I’ve never made a cantaloupe smoothie the way I make our regular green smoothies, and every time I opened the fridge I’d smell them and they were yelling at me to put them into a green smoothie. So I did. AND OMGOSH. I’ve made them several times now, to get the ratio right and since then about two weeks ago, that is all I want. The smell alone is what is doing it for me. Like any other fruit, when it’s ripe, you can smell it miles away, and that draws me in every time. If I walk into a store or farmers market, whatever fruit I can smell from ten feet away is a good sign I’m buying it, it calls to me! We have some seriously beautiful farming going on in our state and area, so our local grocery store and farmers markets have incredible produce, often at excellent prices. I’m talking organic, local, and awesome produce. Like these cantaloupes I found at my favorite store near home. So I’ve gone back and bought A LOT, chopped it all up, put it in the freezer for my new Cantaloupe Peach Smoothie habit. I can’t get enough, which also tells me there must be some vitamin or nutrient in the melon that my body needs. Much of the time if we are craving something specific or something sounds and smells so good to us, it’s a simple nutrient our body needs. And much of the time I am listening to it, so that’s why I bought so many melons! I’ll be honest, Brian likes it too, but not nearly as much as I do. While he really likes this combo, I love it and I am serioulsy drinking one as I write this, no joke. 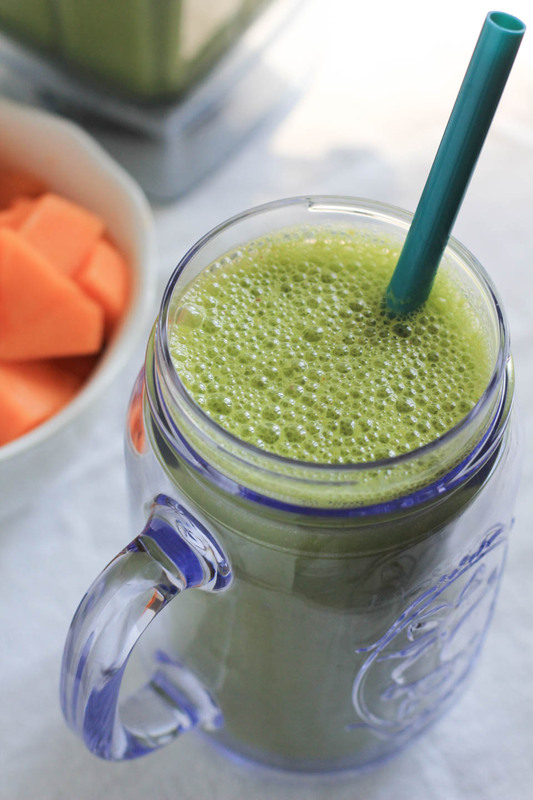 I may drink them until I get full of melons and switch things up, but for now I’m all about the Cantaloupe Peach Smoothie! Let me know what you think if you try this, I ‘d love to know. *A note on freezing melons: I’ve never frozen cantaloupe, but so far so good. I’ll keep them through the Summer, but most likely try to finish the frozen batch within a few months. Which is a good run for frozen fruit anyhow. Place all ingredients in a blender, blend on high for a few minutes until blended well. Serve immediately or store in a glass with airtight lid for next morning. Ah, what a refreshing flavor combination, this sounds wonderful!